The Northeast Aegean Islands are a loose group of islands in the Northeast part of the Aegean sea. Other island groups in the Aegean sea are usually closer together and can easily be identified as a group, e.g. the Cyclades. Some of the Aegean Islands are Turkish islands, and will not be covered in this article. 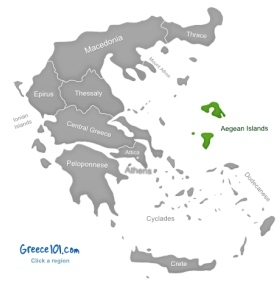 The Greek Northeast Aegean Islands are closer to Turkey than they are to Greek itself. The best way to get to the islands is by boat. The islands are well connected with ferries, and you should not have a problem with transport on the bigger, more populated islands. 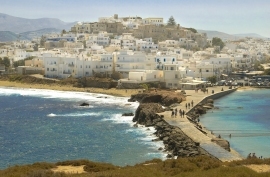 What makes the Aegean Islands special? 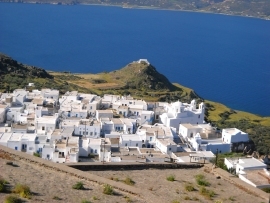 The Aegean Islands are special because they are full of history and mythology. 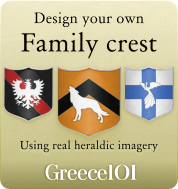 They are the home of Sappho, Pythagoras, Epicurus and some of the best birdwatching in Europe, maybe even in the world. We would not have the word lesbians without Sappho. Maths would be different without Pythagoras, and philosophy would not be the same without Epicurus. This loose group of islands is definitely a paradise for people who love wildlife, birds in particular. European birdwatchers would all love to visit Lesvos one day, as it is one of the best places in Europe to watch a wonderful variety of birds. And of course, like all Greek islands, the Northeast Aegean islands have some beautiful beaches. However, the Northeast Aegean islands also have thermal springs! When you think of Icarus while reading the name of this island, then you are not wrong to do so. This beautiful island with pristine beaches and a rather jagged landscape is the mythological place from which Icarus took off against his father's advice and flew too high up towards the sun. However, mythology is not the only reason why people enjoy Ikaria. There are some very good thermal baths that you can enjoy and that have been known for a long time. Plus: there are plenty of archaeological sites to discover, and there are also lots of activities going on. Chios, often called “Mastic Island”, is the only place on world where Mastic trees that produce gum grow. What is Mastic? It has various uses, one of the first uses was as a chewing gum, but these days it is more often used for medical purposes, in food, but also as a varnish for furniture. Chios has more to offer than Mastic trees though. It is a real treasure for people who like medieval ruins and buildings, as Chios has a well preserved castle towers, churches and old stone houses, many from the 14th century. Lesvos is famous for two reasons: Sappho and Ouzo. Sappho was a female poet who lived in ancient Greece and Lesvos is the place where the word “lesbian” originated. If you would like to learn more about that, look up Sappho. Ouzo, on the other hand, is a strong, alcoholic Greek drink, and Lesvos produces most of it. Apart from being quite rich in culture, Lesvos also has some interesting sights: a Roman aquaduct, a petrified forest, castles, ancient sites, hot pools, thermal springs, and of course plenty of beaches. Also: Lesvos is a paradise for birdwatchers, and counts as one of the best birdwatching destinations in Europe. If you paid attention in school, then you will have heard the name Pythagoras, most likely in your maths lessons. Other important names like Epicurus can also be traced back to Samos. It is an island that is ideal for people who would like to visit plenty of archaeological sites while also being able to enjoy traditional villages, beaches with crystal-clear water, and plenty of cultural events. Thasos island is a well kept secret for the moment. 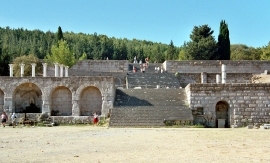 It is popular with Greek holidaymakers, but still not a very busy place. 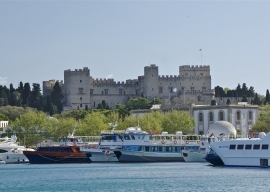 And there is plenty to do: from water sports and boats tour to visiting museums and archaeological sites. From picking olives to taking part in a carnival or visiting monasteries. There is something for everyone – and unlike on many other islands, you will not feel like a tourist but like a proper explorer. Are you longing for a peaceful holiday on a beautiful island where you sometimes might have a beach to yourself (if you are lucky) and where you could also explore an exciting volcanic landscape? Then Limnos might just be the place. This is the island of the god of fire, Hephaestus, but there is a lot of water anyway. Two little lakes and some beautiful waterfalls make the landscape look inviting even though the volcanic rock can sometimes look a bit depressing. Do not worry though: There is plenty of green, nice sandy beaches, and plenty to see and explore.